It is 16 weeks until polling day on Friday, 24 May. That is the day the Irish people will decide who is to represent them in the European Parliament until 2024. Not since Ireland joined the EEC back in 1973 has the country’s relationship with Europe been so relevant and come under such scrutiny. As the 29 March deadline for Brexit draws closer, events in Westminster could have a direct impact on the European elections here. The Republic of Ireland currently has 11 of the 751 seats in the European Parliament. After Britain’s decision to leave, it was decided last year to reduce the overall number of seats to 705. Of the 73 seats to be vacated by the UK, 27 are being re-allocated. Two of these seats go to Ireland, increasing our number of MEPs from 11 to 13. But the European Council has also provided for a scenario where the UK does not formally leave the EU on 29 March. In that instance, the remaining EU member states would not take up their additional seats until the UK leaves. So, 11 Irish MEPs would take up their seats when the 2019-2024 parliament convenes. The additional two seats would be taken up when UK’s withdrawal becomes legally effective. According to the Department of Housing, Planning and Local Government: "Consideration is being given to implementation in Ireland, of this element of the Council decision, in the event that the United Kingdom does not leave the European Union as anticipated on 29 March 2019." The department will publish the bill that will give effect to constituency changes and seat increases proposed by the 2018 constituency review report this week. Minister Eoghan Murphy will bring proposals on how to deal with the scenario of Ireland having just 11 seats, instead of 13, to Cabinet this Tuesday. Further clarity on how the Government will deal with this anomaly is expected to emerge when the Government tables amendments to the bill at the committee stage of the debate. So Brexit and the existential crisis in British politics could yet determine how many MEPs Ireland sends to Brussels in a few months. Whether it is 11 MEPs or 13, the field of likely runners and riders is shaping up. It does need to be stated that the names below are just an initial list of likely candidates. There is certain to be new entrants and non-runners before polling day. The Constituency: Gains a seat. A four-seat 'Dublin' constituency comprising the counties of: Dún Laoghaire-Rathdown, Fingal and South Dublin; and the city of Dublin. Election 2019: Sinn Féin's Lynn Boylan is the only incumbent Dublin MEP contesting May's election, following the decision of Independent Nessa Childers and Fine Gael's Brian Hayes not to contest. Former Cabinet minister Frances Fitzgerald is seeking the Fine Gael nomination. The Fine Gael press office distributed a new high resolution photograph of the former justice minister in recent days. This has sparked suggestions that she is Fine Gael party headquarters' preferred candidate. Current Senator and former health minister James Reilly has also indicated that he would like to run. The fact that a Dáil by-election must be held within six months of a sitting TD getting elected to Europe is a serious consideration, particularly for the two largest parties Fine Gael and Fianna Fáil. For this reason there is some reluctance to running sitting TDs. That said, Ms Fitzgerald is still expected to be selected when the party holds its selection convention in late February or early March. Fine Gael Senator Neale Richmond, who has a high media profile for his commentary on Brexit, had long been expected to contest the European elections. But he has ruled himself out. He now favours concentrating on winning a Dáil seat in the Dublin-Rathdown constituency. Fianna Fáil currently has no MEPs. Gains in each of the three European constituencies are a realistic target for Mícheál Martin's party. It is expected the party will have enough votes for a quota in each constituency. The Dublin selection convention takes place on 17 February with nominations closing at noon on Monday, 4 February. The candidates to express an interest so far are former ministers Mary Hanafin, Barry Andrews and Conor Lenihan; and Tiernan Brady a former Fianna Fáil councillor who is a prominent LGBT rights campaigner. Former communications minister Alex White will be contesting for Labour in the capital. For the Social Democrats, both Gary Gannon and Anne-Marie McNally have indicated an interest in running here. But the party's executive is currently deciding whether or not to open the process of selecting candidates in Dublin and the other two constituencies. Dublin City Councillor Ciaran Cuffe, a former TD and Minister of State, has been selected to run for the Green party. Dublin City Councillor Éilis Ryan is contesting for the Workers' Party. People Before Profit and Solidarity are still deciding who to run here. Newly formed party Irexit Freedom to Prosper is expected to run candidates in all three constituencies, but they have yet to select a Dublin candidate. Renua Ireland says that the party has not yet made a decision on whether or not it will contest this constituency. Current MEPs: Matt Carthy (Sinn Féin); Luke Ming Flanagan (Independent); Marian Harkin (Independent) and Mairead McGuinness (Fine Gael). The Constituency: A four-seat 'Midlands-North-West' constituency comprising the counties of: Cavan, Donegal, Galway, Kildare, Leitrim, Longford, Louth, Mayo, Meath, Monaghan, Roscommon, Sligo and Westmeath and the city of Galway. Election 2019: Vice-President of the European Parliament and Fine Gael MEP Mairéad McGuinness will contest Midlands North West again in May. First elected to the parliament in 2004, she was re-elected in 2009 and 2014. Geographically well placed in Mayo, the former Rose of Tralee winner Maria Walsh has also been mentioned as Ms McGuinness' possible running mate. She has been attending Fine Gael party events of late. There was speculation that Fine Gael Senator John O'Mahony may run here. But he ruled himself out of the European election and any future elections in recent weeks. Fianna Fáil's Pat The Cope Gallagher narrowly lost his seat as an MEP here in 2014 and it is expected that there will be enough Fianna Fáil votes in what was the old 'Connaught-Ulster' constituency for the party to regain this seat. Cavan-Monaghan TD Brendan Smith is among the senior party figures seeking a nomination. Several Fianna Fáil TDs and Senators say that there was a directive from the party leadership last year that sitting TDs should not contest the European Elections. The fact that a by-election must be held within six months of a vacancy arising in the Dáil is a significant reason for this. But last month Mr Smith, a former agriculture minister, became the second Fianna Fáil TD in a day to indicate his intentions to run. Cork TD Billy Kelleher said he wanted to run in Ireland South. Westmeath-based Fianna Fáil senator Aidan Davitt and former Donegal North East TD Niall Blaney are also contesting the nomination. Another interested candidate in the shake up for the Fianna Fáil nomination is former Irish Creamery Milk Suppliers' Association (ICMSA) president John Comer. There have also been rumours in Leinster House that Laois-Offaly Fianna Fáil TD Barry Cowen may seek a nomination to run for Europe. Laois and Offaly are set to move into the Ireland South constituency from the Midlands North West constituency, according to the boundary review published last September. Sinn Féin MEP Matt Carthy confirmed last week that he will run in May's elections. As he has already been selected to run for the Dáil in the Cavan/Monaghan constituency, he was not expected to contest the European elections. Sitting independent MEP Luke ‘Ming’ Flanagan, who was first elected to Europe in 2014, will contest again. The other sitting Independent MEP in this constituency is Marian Harkin. She was first elected in 2004 and was returned in 2009 and 2014. She says that she is "still considering" whether she will run next time around or not. The Green party has selected Saoirse McHugh, an environmentalist from Achill Island, to contest here. Former Meath East TD Dominic Hannigan won the Labour party nomination at the selection convention here last week. In last autumn’s Presidential election, Independent candidate Peter Casey came second with 342,727 votes, a 23% vote share. It has been speculated that he may fancy a tilt at May’s European Elections. If he does decide to run, it is likely that he would run in this constituency as he lives in Donegal. Michael O’Dowd, a brother of Fine Gael TD Fergus, has been selected to run Renua Ireland here. Hermann Kelly is expected to run for the newly formed party Irexit Freedom to Prosper in this constituency. The Constituency: Gains a seat. A five-seat ‘South’ constituency comprising the counties of: Carlow, Clare, Cork, Kerry, Kilkenny, Laois, Offaly, Tipperary, Wexford and Wicklow; the cities and counties of Limerick and Waterford; and the city of Cork. Election 2019: Sitting Fine Gael MEPs Sean Kelly (an MEP since 2009) and Deirdre Clune (an MEP since 2014) will both contest here. The party is considering running a third candidate in this vast constituency which stretches from West Kerry up to Dublin commuter towns such as Bray and Greystones in Wicklow. Given Mr Kelly is from Kerry and Ms Clune is from Cork, it is possible the party will run another candidate. It has reported that Fine Gael TD John Deasy is interested in running. Sitting Sinn Féin MEP Liadh Ní Ríada will contest the seat she won here five years ago. Brian Crowley who won a seat here for Fianna Fáil five years ago is now an independent MEP. He has not attended the parliament since the last election due to ill-health and he recently announced that he will not be contesting the elections in May. Wexford county councillor Fianna Fáil Malcolm Byrne is seeking the Fianna Fáil nomination here. Cork North Central TD Billy Kelleher has also expressed an interest in moving to Brussels from Leinster House where he has been a TD since 1997. Kerry-based Senator Ned O'Sullivan also wants to run here for Fianna Fáil. Former Mayor of Cork, Seamus McGrath (a brother of the party's finance spokesperson Michael) is also interested. Jason Fitzgerald, who unsuccessfully contested the 2016 general election for Renua in Cork North West and subsequently joined Fianna Fáil, will also seek the party nomination. 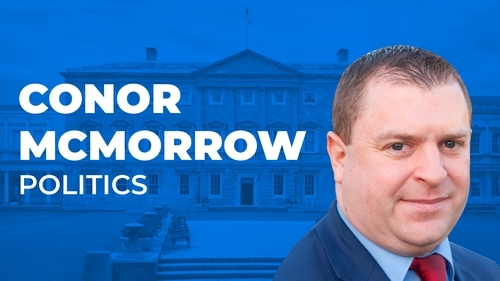 And prominent Fianna Fáil TD and former chairperson of the Public Accounts Committee, John McGuinness' name has also been mentioned as a possible candidate. The Labour party selection convention for this constituency will take place at the end of February. Former Clare TD Michael McNamara and Sheila Nunan, former secretary general of the Irish National Teachers Organisation (INTO), are competing for the nomination. Senator Grace O'Sullivan from Waterford has been selected to contest the election for the Green party. People Before Profit has selected Adrienne Wallace to run here. An unsuccessful candidate in the 2016 general election in Carlow-Kilkenny, she is also contesting the local elections in Carlow.